The independent counters tabulated and released the 2016 balloting results at 11:35 AM today. We thank Candy Gianuzzi and Joe Sandifer for working on the weekend to get our results posted. Seventy three percent of the eligible voters, representing 64% of the homes in the community participated. Capital repairs to the roadway were approved by 93% of the voters. An annual dues rate of $1,024, a 2.8% increase over 2015, was approved by 72%. David Schneider and Chad Johnson were elected to the board of directors. 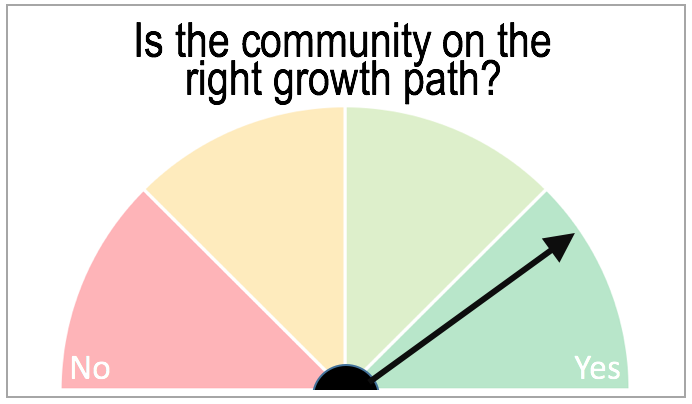 The "is the community on the right growth path?" 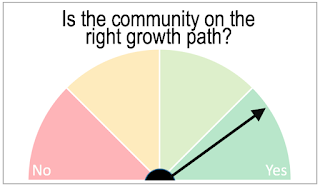 question received a composite score of 4.1 with only 3 owners voting "not so much" and with no one saying "no". Eighteen owners volunteered to work as volunteers with the Association in 2016. Special thanks to the 17 owners who attended that annual meeting to openly discuss the issues facing the community and the Association. Owner's involved in the 2015 paint program expressed frustrations that communications did not follow the published model used in prior years and highlighted the need for better coordination with the owners of homes being painted.